Every blog owner wants to make out best of his blog. WordPress comes with a lot of gifts which any blog owner might love to keep at pace with progress. Plugins are definitely a good add-on if one wants to enhance the functionality of his blog. This article will focus on the free WordPress plugins which are a must have for any blog. I myself use these plugins before starting any website/blog. These plugins have proved to be fruitful when it comes to saving time. These plugins even help you achieve your goals. These plugins even help you keep track of user activity on your blog. Now, you wonder that if this much stuff can be done with the plugins then why didn’t you come across this article before, well now you just came across this link, bookmark it and in future when you install a new WordPress just pick up plugins from this list. Search Engine Optimization is to increase your likelihood of getting visitors from the Google. If you don’t have the right tools for SEO then you might not be able to get a proper place in Google. All your efforts will go in vain, and in the end the good content which you wrote for your readers will not be appreciated. Because, when people will not visit your blog through google, then how will you get enough exposure. This plugin makes sure that you are following all the proper instructions to get a proper exposure in google. It ensures that the new posts which you write are in accordance with the best accepted practises of quality and quantity. Quantity here means proper keyword and quality here means the search engine optimisation score of the article which you just wrote for your visitors. Yoast adds a widget for you on the screen where you add new posts. It helps you decide that which focus word are you targeting and makes sure that your word length of titles and meta description doesn’t exceed the allowed limit. Other than Google optimization yoast also ensures that your social media branding is also up to the mark. You can control twitter and facebook’s link presentation through yoast. When you share at twitter or at facebook, the link shows a thumbnail along with some title and some smart description. Yoast lets you control that, individually for every article which you blog. Jetpack has revolutionized a lot things for WordPress. The best features can’t be listed here all in a once, and for that I’ll need to create another post. Some of the good featured include giving you insights on traffic progress, from day to day. Also, it enhances the load time of your images through hosting it on its very own CDN. It has also one good feature of adding the social sharing buttons on the bottom of the article. Traffic stats can be seen from the past too. Another feature will I love most is the centralized blog controlling through the JetPack. One is enabled to view his blog details through the WordPress.com, every blog which is connected to your account through JetPack will just be visible there, allowing one person to control the things from one place. W3 total cache does wonders for you when it comes to reducing the load time of your blog. The list wouldn’t be complete if I don’t feature it into the best WordPress plugins list. This plugin allows you to do a lot once it comes to increasing the loading efficiency of the website. Its caching capability if so strong that sometimes our developers get frustrated for the changes made don’t go live quickly unless we don’t tell w3 total cache to make them live for us. Do you know development? Do you know how to create forms? No? Then that is not an issue. You with this plugin are able to create a contact form in seconds. Just in two clicks, you’ll be able to make a contact form live on your blog. The people will visit that contact form and the message will directly be delivered to the email of your choice. You can create as many contact forms as you want, and publish them live on the blog. The coolest thing to note is that, if you want to create a contact form for your blog. Then just create a page with title “Contact Us” after that activate the plugin Contact Form 7, from there get the shortcode of the form. Paste that shortcode in your page, and publish the page. Anyone, who will visit that published contact us page will see three fields, Name, Email and Message. Thus, pressing the send buttons gets you their message. You can change the email to which the message should be sent. Contact Form 7 also has add-ons through which you can also enable the captcha to cut out the spam. Getting content discovered by the Google search engine is one of the most interesting thing which if not done right never yields the best results. Google XML sitemaps does the same thing for you, it generates the sitemap for your blog so that once you submit it to the Webmaster tools, you might be able to do allow google see what awesome content you have posted on your blog. Not only it helps Google it helps Bing, Yahoo and other search engines too! Once you submit the sitemaps, every url of your blog is now present in the Search Engine Listings, once someone hits the right search the results from your blog will also popup in the results. Akismet works to save your blog from spam. Often spammy comments are left in the comments section and the number of such comments are in thousands. Now, for a human blogger like you, one isn’t able to filter out the right ones with the wrong ones. Often people leave the comment in the most tricky way, allowing their website and name to be keyword specific. Don’t worry, akismet does the exact job of an AI, it gathers real time data from millions of websites and helps ensures that the wrong/spammy comments are filtered out for you, and be placed nicely in your comments spam section. Even I install akismet on my clients blogs and websites hosted on WordPress, just to make sure that they don’t get fed up due to spammy comments. Because, captcha on the other hand will frustrate the real commenters too, and often lazy people like me instead of filling captcha prefer not to leave comment. 7- Updraft – Backup your precious blog on Dropbox / Google Drive Etc. Updraft is one service on which you can rely for sake of your precious blog. I know that you spend a lot of time while trying to write good stuff. Now, all that good stuff can go in vain if your WordPress installation gets compromised, and you don’t have any backup. Backup option is all what successful people do, they do construct bridges on most difficult things but they also have a fallback plan. Don’t do this mistake of not keeping a backup of all your hardwork in some other safe place. Because at any time any sort of calamity can happen. The good hosting companies keep a backup of your data. But most of the times new bloggers are striving with shared hosting, which if crashed, most of them don’t provide any data guarantee. So be wise, and use a backup plugin which converts your efforts into safe vault of Dropbox or Google Drive etc. With updraft you can easily backup your critical folders like themes, uploads and plugins into Dropbox, or other supported remote drive services. It also keeps a backup of your database without any hassle. It nicely organizes the backup folders into your remote drive with user friendly labels in zip format. 8- Edit Flow – Better collaborate with your Team! If you have a team of writers and you want to better collaborate with them, then this plugin is for your needs. It has some really nice features even if you are trying to handle a small team on your WordPress, this is what you should go for in the first flow. It allows you to add custom status to the posts other than Drafts, Published and Trash. It allows you to add a comment and progress section in the post creation page (Add New Post Page). It allows you to track your progress through a calendar. It allows email notification to your team. You can specify custom notifications for specific posts too. If you want to achieve better then going scheduled is one thing which you must consider. This plugin does the exact same thing for your blog. It allows you to go scheduled with your posts and publications. 9 – MailPoet Newsletters – Send emails to subscribers in more systematic way! Subscribers play an important role in very blog. Whether you want to market products or you want to write tutorials in your blog. Subscribers are something which will always work for your goals. If you don’t offer any subscription platform or you don’t send emails to your subscribers then there is no use of creating a blog which offers something unique and good. MailPoet helps you achieve exactly the same thing. It helps you capture emails from the visitors by helping you place a subscription email box. It also helps you compose automated emails. It is also capable of sending emails on some specific events all on its own. Suppose, you are compiling some article and you want that article into the inbox of every subscriber. MailPoet will exactly do the same thing for you, it also keeps the email template to be simple so that it may load in very inbox. You can setup autoresponders through this plugin too, all you need to do is to install this plugin and start using it. 10 – TablePress – Best for presenting some tabled stats into your posts as a blogger! Are you the person who loves excel? Or you just want to present something into the tables format? But you fear that tables are a thing of past now and can’t be used in present. But don’t worry, you can use tables with all the beauty and customizeable options directly inside your article. You don’t need to worry about the ugliness of tables any more. The TablePress will do the job for you and you will be able to present the information in table format in the most beautiful way. Tables are still the best way to present any information which involves too much detail with headings and data contained into 100 of rows. You also don’t need to know any codes and programming information if you want to embed tables into your WordPress article through this plugin. This plugin offers so much diversity that a person who lost interest in tables will also start to love them back. The best feature, you can also import and export tables from various file formats. You can also import/export through your beloved excel. That’s it, these are the plugins which any blog must have to operation in the most basic way, there are premium plugins available too which do the similar job, but again among the free ones these are the best plugins. A lot of mature and big blogs use these plugins to get a better hand on their WordPress blog. 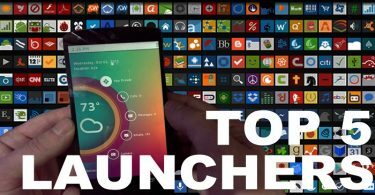 5 Best Android Launchers You Must Try Atleast Once!